This movie won an Oscar to the Best Foreign Language Film in 2007. Set in East Berlin in 1980, this is the most in-depth portray of everyday life in a communist country that I have ever seen, where even the most intimates moments were exposed by the vigilance of secret police corps. East Germany’s Minister of Culture falls in lust with an actress, who is dating a successful playwright, and everything falls apart for the couple, for the Minister is willing to destroy their lives if he doesn’t get to bed this woman. For that purpose he enrolls the assistance of a Stasi case officer, who starts recording and listening to the couple’s every conversation to uncover counterrevolutionary activities, of course even independent thinking is a crime against the state in a communist regime. The story unfolds with tragic consequences as the couple does not appear to find a way out. Watch this movie. You won’t regret it! Its ending will resonate with you. 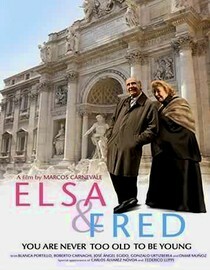 The title of this movie in Italian is La Vita e Bella. This motion picture won an Oscar for Best Foreign Language Film in 1997 and a Best Actor award for Roberto Benigni. 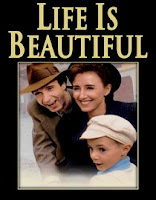 In this poignant and at times (many times) very funny movie, Guido, a Jewish Italian wins the heart of his Principessa and life seems to be running smoothly for them as they procreate a son, until War World II erupts and the persecution of Jews forever changes their family life. 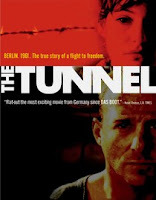 Guido, together with his wife and child, is sent to a concentration camp where he starts facing tough questions about their survival by his precocious son. Determined to preserve his son’s innocence, he tells his son that it is all a game, and if he manages to win, he will be rewarded with a real military tank. This motion picture won an Oscar for Best Foreign Language Film in 2006. Wonderfully acted and directed, this film, set in South Africa, tells the story of Tsotsi, a young delinquent who shoots a woman and drives away in her car unaware that in the back seat there is a baby. Tsotsi starts taking care of him to the point of stealing to provide food and clothing for him. 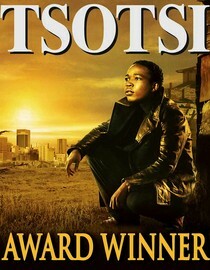 That is the way in which Tsotsi regains his humanity, but will he keep the baby or will he do what is right for the first time in his life? This is one of the funniest movies that I have seen in a long time, but by the end it becomes bittersweet. It is about the romance between two neighbors both of whom are around 80 years old. Fred is a very proper guy, quiet and peaceful, while his neighbor Elsa is a tornado, who lives life to its fullest and doesn’t have any regrets except never having visited Rome. Together they will discover that life is meant to be lived fully. You will adore this charming couple. Jean de Florette is the first movie of the series. In it, the title character, a hunchback (Gerard Depardieu), moves to the French countryside with his family, and two neighbors (Ugolino and Papet) plot to get rid of him to get his land. With that plan in mind, they block Jean’s farm access to water, which forces him to carry water every day from the town’s well to his farm up in the mountain. A fire erupts in Jean’s farm in the middle of the night, but without direct access to water, he loses everything he has tried to build. Jean’s falls sick and eventually dies of anguish. Manon, his child, overhears Ugolino and Papet bragging about how they blocked Jean’s water source. In the second installment, Manon, now a young, beautiful woman, has grown up in her father’s farm, away from the town’s folks, but when the town’s well dries up because of an incident in the stream that supplies water to it, the town people ask Manon to pray for them, since she is the virgin daughter of a hunchback. She gets the most devastating of revenges on Ugolino and Papet. To understand the story, it is necessary to see both movies. The ending of Manon…won’t have the same resonance if you haven’t seen or understood what happened to her father and how that event changed her life. These movies may also be grouped under the category “Endings that I Never Saw Coming”. Worth every valuable second! You probably have never seen anything like it. 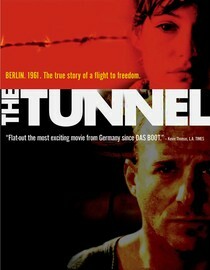 Olympic swimmer Harry Melchior (Heino Ferch, Downfall) defects from East Germany to West Germany in the 1960s, and hatches a plan to bring his sister and her family back to safety through an underground tunnel between both Germanys. Sebastian Koch (Black Book, The Lives of Others) and Alexandra Maria Lara (Downfall) co-star.